Chicago-style Magic: Level Two continues where Level One left off. In this class, students will continue learning more advanced card magic, along with other effects that will play for a larger audience. Students from Level One will continue learning the concepts that make Chicago-style Magic special - audience interaction, effect structure, and making the magic special for every audience. MEET OUR NEWEST Chicago Magic College INSTRUCTOR, SEAN MASTERSON! Sean Masterson has been entertaining Chicago audiences with his close up and stage magic for 25 years. The Chicago Reader quips: “...magician/raconteur Sean Masterson and his eye-popping, mind-boggling parlor tricks. His close up magic has been seen at many corporate, social events including Abbott Laboratories, the Chicago Architecture Foundation, Copia Capital and the Driehaus Museum. Each year for the last 18 years, Sean makes 40 appearances in local children’s hospitals. 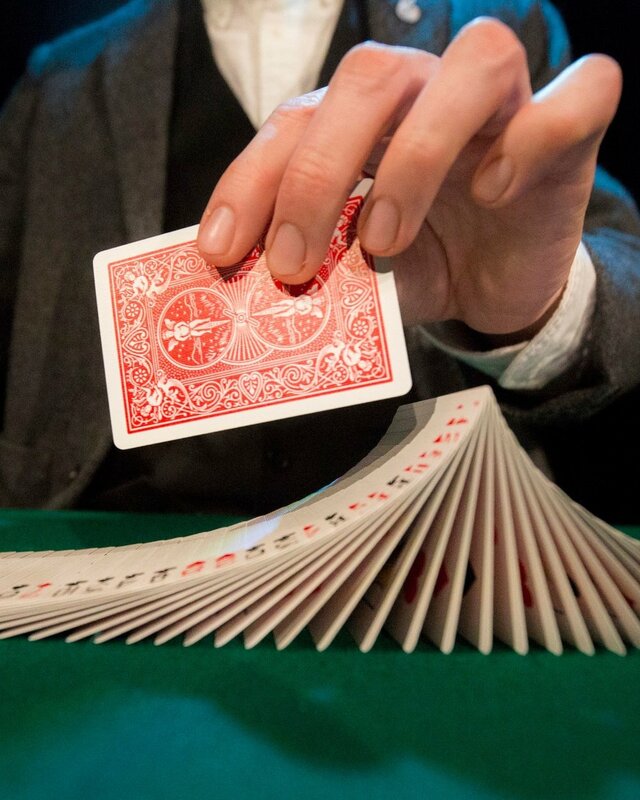 Sean will be bringing his one-person show, Timeless Magic to the Chicago Magic Lounge Wednesday nights as our artist-in-residence from June 26 through October 2nd.